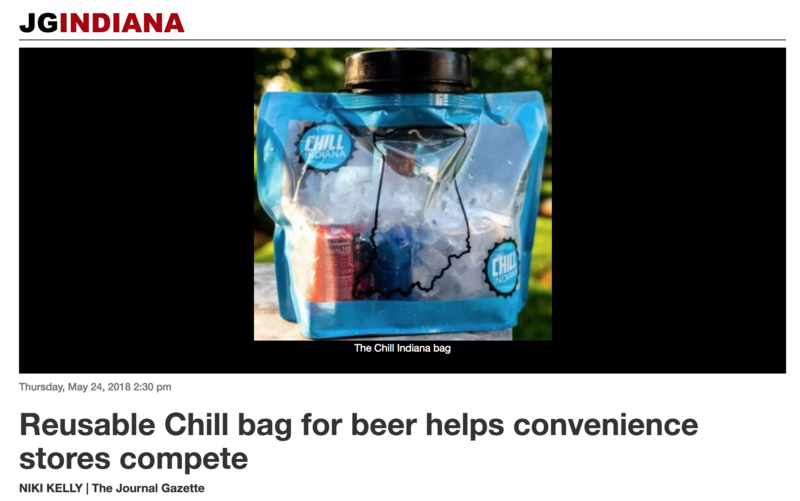 "The reusable Glacier Bag are a revolutionary take on traditional coolers because they allow customers access to readily available ice," said Scot Imus, Executive Director of the Indiana Petroleum Marketers and Convenience Stores Association. "If customers want to buy cold beverages, such as water or soda, the bags will keep that beverage cold. Conversely, if the customer buys a product that stores are forced to sell warm, such as beer, the product will be cold by the time that customer reaches their destination." Convenience stores have long fought for the ability to sell carryout cold beer but lawmakers continue to side with liquor stores, who have that exclusive right. Indiana is the only state that regulates the sale of beer based on temperature. A news release said with the reusable Chill Indiana Glacier Bag, the customer makes a one-time purchase of a bag and then is allowed free access to ice from the store’s fountain machine on subsequent purchases. An ice-filled bag will take a bottle or can from room temperature to an acceptable consumable temperature in just 15 minutes, and it keeps that beverage cold for hours.